RiftValley Railways(RVR) is eying big haulage contracts from three East African countries as it targets to complete shipment of new locomotives by June. RVR is banking on new trains and rehabilitated tracks to reduce transport time from Mombasa to Kampala from previous 17 to seven days, training its eyes on multinational companies moving heavy freight through roads across these markets. The company said it is investing heavily in finding modern solutions to address inefficiency in its operations to turn around fortunes of the operator. “We have spent the money in acquiring new technologies to automate the systems, increasing of rolling stock for us to increase volumes, expanding client base and improving infrastructure to cut speed restrictions,” said RVR Group Chief executive, Carlos Andrade. The firm has attracted six multinationals in the energy and manufacturing sectors including Vivo energy, Hass petroleum, Mogas, Uganfa Baati and Mukwano as well roofing rolling mills since it begun turning around its fortunes in 2012 when it started implementation of Sh 25 billion investment programme. “RVR continues to invest in efficiencies in its operations and solutions for more bulk transportation of a mix of cargo to ensure that railway is established as a catalyst of growth of the economy,” said Andrade. Since it won a 25 year exclusive contract to run the Mombasa-Kampala railway line and Nairobi commuter services, the operator has been recording losses blamed on outdated facilities that led to the inefficiencies. Shift by large firms to trucks saw volume of cargo transported by RVR across the region slump from 1.3 million tones in 2012 to 1.2 million tones in 2013. But the railway operator is now banking on 20 new locomotives it procured last year from American multinational, General Electric at a cost of sh $25 million, $20 million coming from asset financing facility from standard bank (CFC) and the balance from its majority shareholder, Qalaa Holding. 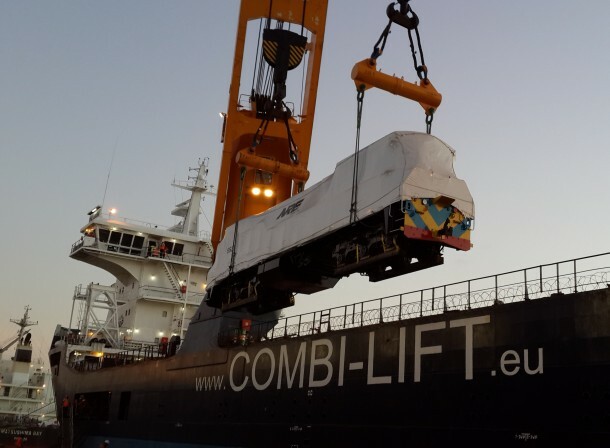 Last week, it received a set of four new locomotives bringing to 13 total number of new locomotives, as seven more are expected in two batches over the next two months. Additional locomotives are expected to double its fleet numbers to 2,400 when refurbishment of its existing fleet is completed over the coming months.